If you haven’t heard of him already, you will soon. 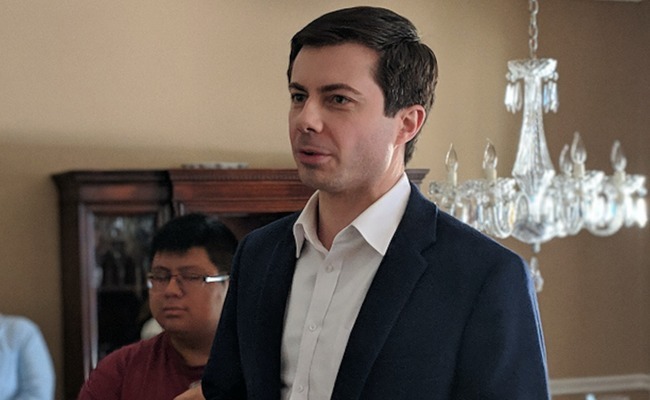 Pete Buttigieg is the Mayor of South Bend, Indiana and a candidate for the presidency of the United States. Lots of people were skeptical of “Mayor Pete’s” candidacy in the beginning. I was too. But since declaring his run, his prominent media appearances and town halls have piqued the curiosity of lots of people. Especially because, in addition to making history as only the fifth former mayor to become president, he would be America’s first openly gay president. 1. Pete was first elected Mayor of South Bend in 2011; he was only 29-years-old. When he took office, Pete was the youngest mayor of any U.S. city with at least 100,000 residents. Two years later he was named mayor of the year by GovFresh.com. 2. He took a leave of absence as mayor to serve in the military. Pete was called up by the Navy Reserves to be deployed to Afghanistan in 2014. Following orders, he answered his nation’s call and left the city in the hands of the Deputy Mayor for nine months while he served. 3. He came out as gay while campaigning for re-election. 4. He ran for DNC Chair in 2017. He was considered a dark horse in the race, but got the support of former DNC Chairman Howard Dean. He promoted the idea that the party needed to empower younger, millennial members of the party. He didn’t win, but many people were surprised by his strong performance. 5. He impressed President Obama. In an interview after the stunning election of Donald Trump, President Obama listed Pete as one of the “gifted Democratic politicians” he saw rising up in the party. 6. He impressed a lot of other people in a recent CNN town hall event. Pete was asked a number of tough questions, including about his experience. He pointed out that he had more experience than the current president and more executive experience than the current Vice President. He also talked about how he would be the only president with military experience since George HW Bush, and openly wondered how Vice President Pence could reconcile his faith with a seemingly immoral administration. After the town hall event, it was reported that he had raised over $600k in small, online contributions. 7. He is a musician. He plays both piano and guitar, and has performed with the South Bend Symphony Orchestra. 8. Making history in more than one way. If elected, he wouldn’t only be the first openly gay president, he would also be the youngest president in American history at 39-years-old. Certainly will follow Mayor Pete's campaign! Look like a good candidate and talented. Wow, lots of accomplishments for a 39-year-old. I admit I hadn't heard of Pete Buttigieg, so that was an interesting read and now I'll watch for future developments.